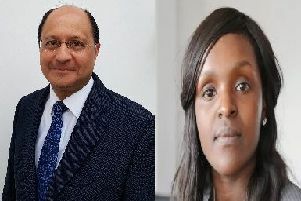 Two candidates have made it through to the second round of voting in the race to become the first Mayor of Cambridgeshire and Peterborough. Only Conservative James Palmer and Liberal Democrat Rod Cantrill remain after the first preference votes have been counted - Labour, UKIP, the Green Party, English Democrats and Independent Peter Dawe all having been eliminated. The second preference votes will now be counted to decide which of the remaining two candidates is made Mayor.